Every year, LavaCon sparks some of the most exciting conversations and ideas in the content industry. An increasingly popular topic of discussion has been centered around intelligent content strategies and applied content engineering principles. Intelligent enterprises are finally investing in intelligent content. Organizations are encouraging members in all areas of content to expand their skill set to include strategic modeling and delivery of intelligent content. This is because ROI hinges on content being unified, personalized for the needs of each audience segment, nimble enough for reuse, and adaptable to future devices and channels. Many of the same thought leaders who spearheaded this movement, along with fresh voices in the industry, continue to evolve this conversation at LavaCon 2018. Here are the speakers we’re most excited to learn from and exchange ideas with this year. Join Andrea for a half-day, experiential tour of several techniques used in Design Thinking. Using one or more sample problems, workshop participants will work together to develop solutions following a Design Thinking framework. Because we’ll be face-to-face, we’ll go low-tech and focus on the framework and techniques using flip-chart paper and sticky notes. Andrea will also discuss how to get the most from the process across geographically distributed teams using online tools. Why customers want more interactive content. How to reuse content to build memorable experiences. How to turn boring old content into something new and exciting. Why different teams across a huge company are creating content together. How to identify risks that come with change and prevent or mitigate them. How to develop a communication plan to keep your team aware of and looking forward to change. How to leverage early adopters and skeptics as evangelists for change. How to engage stakeholders so they understand the benefits and disruptions of change. How to equip your team to be successful and thrive through change. Definition of a Unified Content Portal – and what a successful one looks like in the real world. Case studies and examples of ways in which Unified Content Portals are being adopted and used throughout a diverse range of organizations. Core business drivers, ROI, and competitive advantages. How a Unified Content Portal breaks down content silos – using hands-on exercises and workshopping. Best practices for attaining buy-in from key stakeholders. This presentation will explore personality within conversational UI as everything from voice & tone to creating an independent identity – from the perspective of the writers who brought it to Cortana. You’ll see how it relates to the core standard voice & tone principles for products and services, and might help you answer the question, “What’s the difference between a bot and a conversation embedded in a product? Learn how Cherwell Software used a digital experience platform (DXP) to implement a world-class Documentation Portal with minimal staffing and a condensed time frame. Learn how we consolidated documentation for multiple products, versions, and languages into single consolidated platform. We’ll discuss how we sold the project to Cherwell leadership, how we selected our vendor, and the challenges we faced during implementation. Being right feels good. But great things happen when we prove ourselves wrong. In this talk, Megan will tell stories that illustrate the power of learning you are wrong. Context for Content? It Depends. Let’s delve into the details of creating a wide-reaching content strategy that builds from various aspects of the content ecosystem. We factor in the role of marketing, R&D, sales, user documentation etc and how these moving content parts co-exist to address various needs and audiences. Our profession is on the precipice of something very new and very disruptive. What does the next step really mean for us? Will we adapt or will it spur on another new industry of content professional? How will we produce content for a new medium and still keep the lights on with continued needs for traditional channels of delivery? Adopt too slowly and you’ll miss the wave. Adopt to quickly and you run the risk of the wave dashing onto the sand. In this session, Rob Hanna will explore how to ride the crest of the new content wave. How to recognize both the value and the limitations of second-hand user feedback (from internal partners, for instance) and uncontextualized quantitative data. How to develop a program to continuously collect and analyze content feedback and metrics. How to use Lean UX and Design Thinking approaches to develop and rapidly test content innovations. President and Chief Strategist, Content Company, Inc.
Hilary Marsh, the President and Chief Strategist of Content Company, will discuss a new way of thinking about content that will help Content Strategists bring people together to make better content and more effective results. A content zombie apocalypse is upon us! An onslaught of new mobile devices, platforms, and screen sizes, hordes of them descending every day. We’re outmatched. There aren’t enough designers and developers to battle every platform. There aren’t enough editors and writers to populate every screen size. Surviving the content zombie apocalypse is possible. In this talk, Karen will explain how. As we begin to coordinate content across the enterprise, we need to re-examine our content infrastructure. Will we have a single, unified workflow for everyone creating customer-facing content? If not, what is the minimum viable infrastructure needed to make enterprise content a reality? Join this session to hear about the lessons learned from establishing and implementing a unified UX and content strategy to product pages at SAP, the world’s largest provider of enterprise application software serving more than 365,000 customers in 180 countries. Explore results with before-and-after comparison and get actionable tips you can consider and implement in your organization. What’s the role of UX and content strategy in the digital customer experience for products? How to translate customer insights and business goals into compelling product pages with relevant and consistent content through an integrated UX approach? How to reflect constantly changing customer preferences and business transformation in your content? Collaboration, change management, enablement: why and how? Best practices for bringing a front-end content strategy spanning marcomm and techcomm to life. The convergence of Marcomm and Techcomm is a new reality driven by the needs of the evolving customer experience. But how do you prepare for that and leverage your content assets to deliver the greatest value? This session will discuss how to apply Content Engineering techniques to enable Content-as-a-Service pipelines that unlock the potential of content assets across the enterprise, no matter where they were created, or in which system they are stored in. Are You a Content Engineer? Improve discoverability of content, enable reuse. Assign value to content assets with a content valuation process. Engineer intelligent content, content reuse and streamline content publishing. The concept of the standard Master Content Model™ (MCM). We are at a critical moment in history, with knowledge bursting at the seams of our organizations. 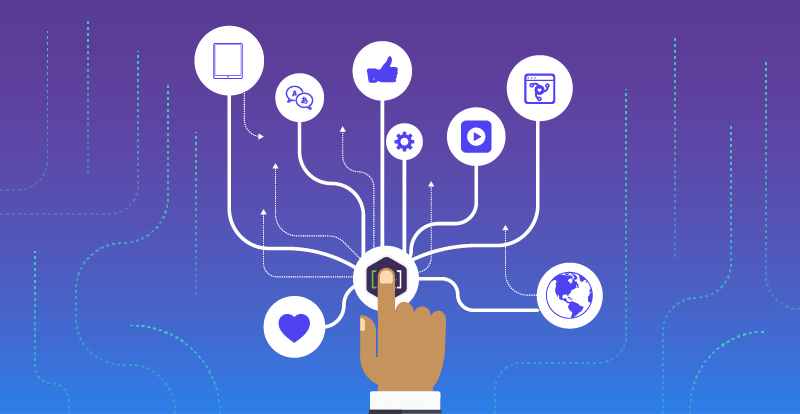 Many of us still struggle to manage numerous modes of omnichannel content engagement: published, interactive, and automated. The solution requires vision to move towards a new order of content intelligence encompassing our organization’s entire knowledge graph. It requires spanning silos, especially between marcomm and techcomm. Join Cruce Saunders as he explores the new content stack, and how to future-proof content assets to meet the demands of ever-evolving customer experiences. Join Dustin Vaughn, Head of Solutions Consulting at Adobe, as he discusses the shift to digital experience and how tech pubs can drive this critical organizational change. The shift in consumer demand and how that is forcing a digital transformation. How DITA/structured content is not enough by itself to deliver on this vision. How tech pubs can drive organizational change through collaboration with marketing to deliver a compelling digital experience. We’re sad to announce that Joe Gollner, Managing Director of Gnostyx Research, Inc. and Master Architect at [A], will not be able to attend LavaCon 2018. On behalf of [A] and the greater content community, we’d like to wish him and his family the best. The LavaCon Content Strategy Conference gives content strategists, documentation managers, and senior content professionals an opportunity to get away from the office and tend to their professional development.